Metal–air and metal–sulfur batteries (MABs/MSBs) represent one of the most efficient-energy storage technologies, with high round trip efficiency, a long life cycle, fast response at peak demand/supply of electricity, and decreased weight due to the use of atmospheric oxygen as one of the main reactants. This book presents an overview of the main MABs/MSBs from fundamentals to applications. Recent technological trends in their development are reviewed. 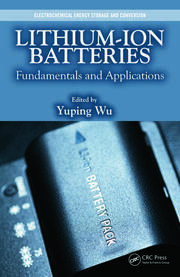 It also offers a detailed analysis of these batteries at the material, component, and system levels, allowing the reader to evaluate the different approaches of their integration. The book provides a systematic overview of the components, design, and integration, and discusses current technologies, achievements, and challenges, as well as future directions. Each chapter focuses on a particular battery type including zinc–air batteries, lithium–air batteries, aluminum–air batteries, magnesium–air batteries, lithium–sulfur batteries, and vanadium–air redox flow batteries, and metal–sulfur batteries. Features the most recent advances made in metal–air/metal–sulfur batteries. Describes cutting-edge materials and technology for metal–air/metal–sulfur batteries. 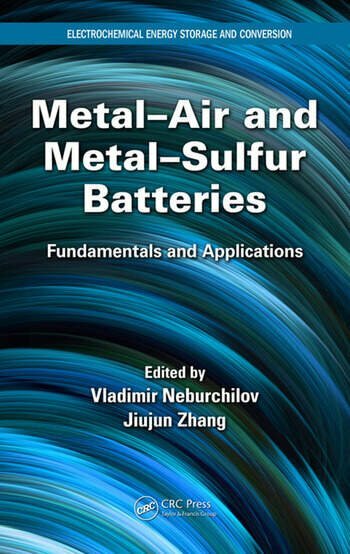 Includes both fundamentals and applications, which can be used to guide and promote materials as well as technology development for metal–air/metal–sulfur batteries. Provides a systematic overview of the components, design, and integration, and discusses current technologies, achievements, and challenges, as well as future directions. Covers a variety of battery types in depth, such as zinc–air batteries, lithium–air batteries, aluminum–air batteries, magnesium–air batteries, lithium–sulfur batteries, vanadium–air redox flow batteries, and metal–sulfur batteries. Vladimir Neburchilov received his PhD in electrochemistry/electrocatalysis from Karpov Institute of Physical Chemistry (Moscow, Russia). After postdoctoral fellowships at the University of Alberta (Edmonton, Canada) and National Research Council of Canada Institute for Fuel Cell Innovation (NRC-IFCI) (Vancouver, Canada), he continued his scientific career as a research officer at NRC-IFCI. He has more than 27 years of experience developing innovative electrocatalysts for metal–air batteries, lithium–sulfur batteries, fuel cells, and membrane chlorine electrolyzers. He has four diplomas, including a Master’s of Science and an MBA (SFU Beedie School of Business, Vancouver) in management of technology. He has experience in the commercialization of his own electrochemical technologies. He holds 8 international patents and has coauthored more than 32 refereed journal papers, written 4 book chapters, and coedited 1 book. He has prepared more than 25 industrial technical reports. Jiujun Zhang is a principal research officer at the Energy, Mining & Environment, National Research Council of Canada (NRC-EME), aFellow of the International Society of Electrochemistry (FISE), Fellow of the Engineering Institute of Canada (FEIC), Fellow of the Canadian Academy of Engineering (FCAE), and Fellow of the Royal Society of Chemistry (FRSC). Dr. Zhang earned his BS and MSc in electrochemistry from Peking University in 1982 and 1985, respectively, and his PhD in electrochemistry from Wuhan University in 1988. He holds more than 14 adjunct professorships, including one at the University of Waterloo, the University of British Columbia, and Peking University. 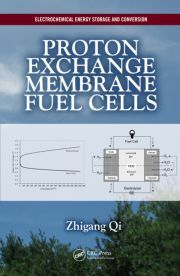 Dr. Zhang serves as the editor/editorial board member for several international journals as well as the editor for the book series Electrochemical Energy Storage and Conversion (CRC Press). "…the publication of this book is timely. The self-contained and yet concise chapters provide readers with comprehensive information for each category of main MABs/MSBs, from history and fundamentals to up-to-date technical developments and applications. Reading the chapters in this book will be a most efficient way to bring readers to the frontier of this intriguing field. "